Russell Run by the River to commence Sat. 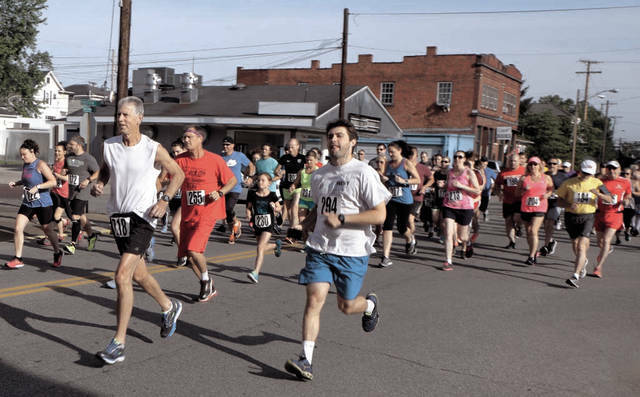 RUSSELL, Ky. — Runners from throughout the Tri-State will head to Russell on Saturday for the 41st annual East Greenup Kiwanis Club Run By The River. 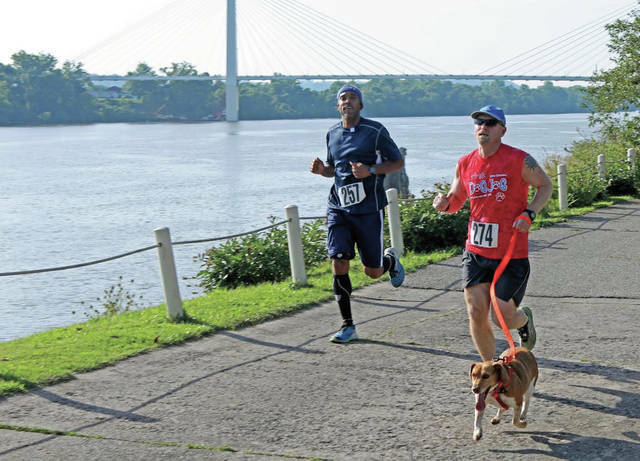 Considered Kentucky’s longest continuously operating road races, Run By The River is a 5K and 10K competitive race with divisions for men and women runners and 5K walkers. The races start at 8:30 a.m. in front of the Russell fire station. Runners whose ages ranged from 9 to 81 had preregistered for the race through late last week. Runners from Ohio, Kentucky and West Virginia are signed up to run, according to Tim Gearhart, race director. Trophies are awarded to the winners and runnersup in both the 5K and 10K races, men’s and women’s divisions. In the 5K race, trophies are awarded to the winner and the runnerup of a stroller division, a top dog division (runners with canines), and father-son, mother-daughter, father-daughter, mother-son pairs. There is also trophies for wheelchair participants. “Runners consider our race to be one of the best running events in the tri-state,” Gearhart said. “We have a beautiful course along the Ohio River that is flat and fast and runners get a Sport Tec racermesh tee for participating,” he said. A new shirt design was unveiled last year, featuring the new Ironton-Russell Bridge that is the backdrop for the race, Gearhart said. This year’s shirt will show the bridge in it’s nighttime neon blue splendor. Medals are awarded to the top 3 finishers in each of 16 age groups that start at 9 and under and end at 80 and over. “We are one of only a few races that recognize runners in the youngest age group and the older runners,” Gearhart said. In addition, all runners 9 and under receive a medal if they are not a winner in their age group. Walkers get times, but no awards. Registration tables open at 7 a.m. in the parking lot next to the Russell Senior Citizens Center. The entry fee is $20 for those 14 and under and $25 for all others. The race course starts by the Russell fire station and ends at the Senior Center parking lot, and travels along Riverside Drive past the site of the old Ironton-Russell Bridge (1922-2017), then along the River Road through Worthington and back. For 5K runners, there is a turnaround point on the River Road. “Support for this year’s race has been good,” Gearhart said, noting there are 20 sponsors, plus others who are providing race supplies, door prizes and items for a goody bag. Money raised by Run By The River is used for numerous Kiwanis civic projects, including sponsorship of Key Clubs at Russell and Raceland-Worthington High Schools, distribution of food baskets at Thanksgiving, scholarships to Key Club seniors at the two high schools, Shop with a Cop, the summer reading program and an annual contribution to each of the county’s three school resource centers.